Hastings Demolition has been smashing in the Hawkes Bay since the ‘70s. We have a longstanding reputation for building strip outs, concrete cutting, drilling and breaking, fire clean ups and site clearance after demolition. Our current owner, Graeme Hall, is the third generation of his family in the demolition business, he took over the Hastings Demolition from his parents Gordon & Collen Hall in 1985, and his grandfather was also in demolition. Our company has been modernised, equipment and systems constantly updated but the core principle of “good job well done” remains integral to the company. 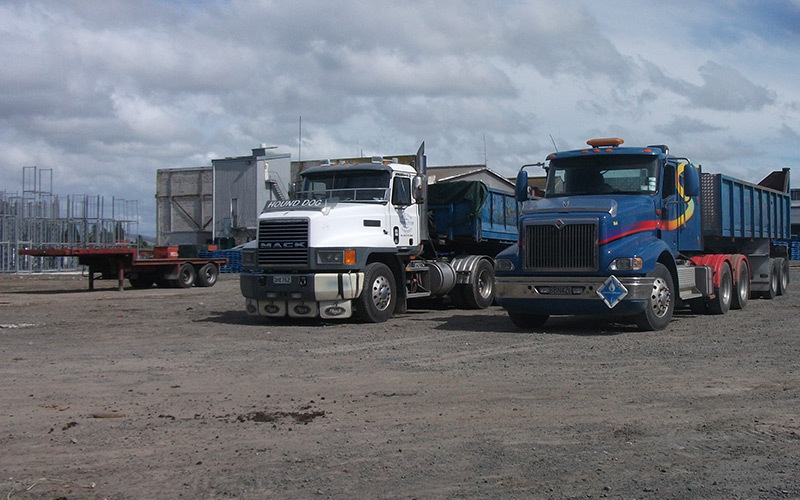 Hastings Demolition provides commercial, controlled demolition services throughout Hawke’s Bay with projects on the go from Waipukurau to Wairoa. 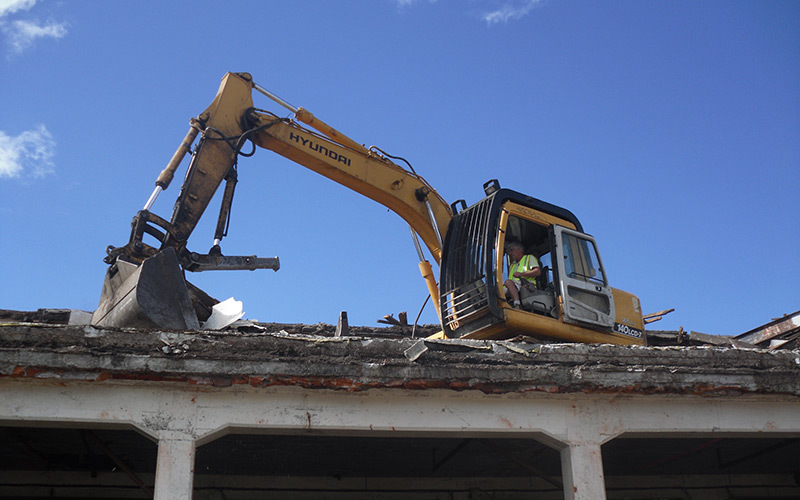 As you drive around the Bay watching the old buildings coming down and sites being cleared for new development, chances are it will be the men from Hastings Demolition in the hard blue hats, maneuvering the equipment, breaking the concrete, driving the projects forward. Since Gordon Hall worked on Sir Keith Holyoak’s house in Frederik Street in the seventies, Hastings Demolition has been behind the careful demolition and preparation for rejuvenation and restoration of landmarks in region. Local high profile work includes the Onekawa Swimming Baths, Matahora and Karamu schools, the BP Petrol station on St Aubyns St and Revendsdown Fertiliser co-operative. 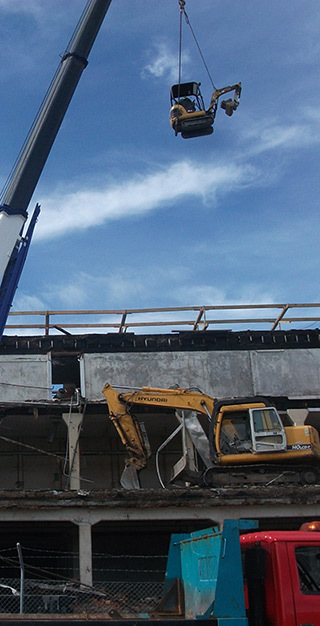 Hastings Demolition handles difficult or dangerous work: unsafe structures, deconstruction of bridges, fire clearances, chemical removal, asbestos containment and disposal. 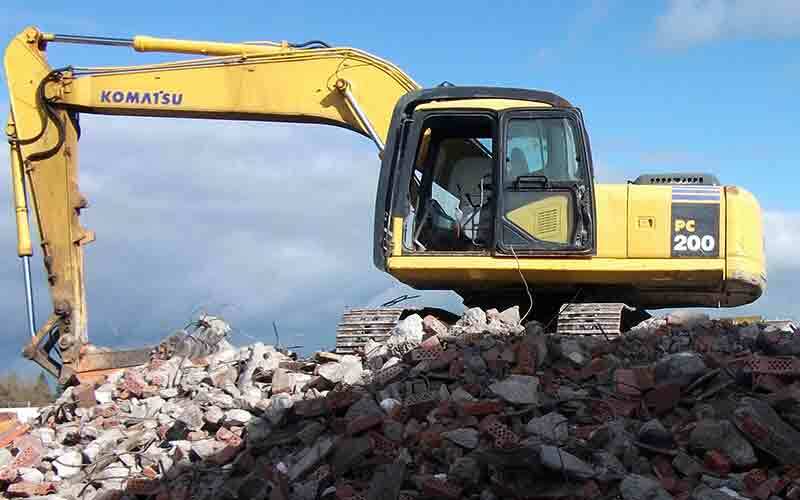 At Hastings Demolition, we provide a full package, from a free on-site quote to total clearance and preparation for reconstruction. We work to the owners’ plans and give professional, sound demolition advice to guide the project. We appoint an experienced team headed by a safety supervisor. Always fully compliant with health and safety and environmental regulations, we have won praise from clients for our professionalism on site, working with minimal disruption to surrounding properties and leaving sites in a safe and sound state for new development.